Picture this: You and your family are sitting at home on your farmer's porch, sipping lemonade on a warm summer day..relaxing! But wait-you don't have a porch or your current one is in need of repair. No need to worry-porch builders at Trinity Construction and Development can help you turn your home into a showpiece with a porch addition. 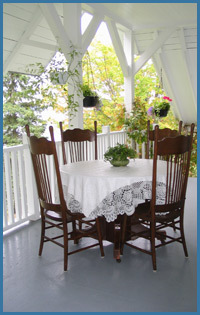 Porch remodeling needs vary from home to home depending on the architecture and on your personal style. But more so, your porch, as simple as it can be, is the first impression people have when they walk up the path to your front door. What do you want your porch remodeling to say about you? Choosing reputable porch builders is easy-that's Trinity. But choosing a porch that best fits your home can be a challenge. Do you want a porch addition that blends in with the other homes in the neighborhood? Are you bold enough to try something completely different? Are you going to look to your porch builders for design recommendations? Purpose/use-will it be a place where you entertain or will be there just be a landing? Architectural style-do you want your porch addition to be extravagant or simple? Budget-think about your project as an investment, but be realistic on costs that best fit your budget. 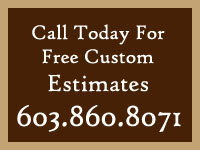 As a porch contractor with extensive experience on porch remodeling, in addition to our expertise as a patio builder that could also enhance your entrance to your porch-you can be assured that the porch contractors at Trinity we will give attention to every detail throughout the project-from the materials used to the last step is nailed in place. In today's busy world, give yourself a break and think about hiring porch builders, like us, to bring back not only the integrity of your home with a porch addition, but an opportunity to just sit back and enjoy your home from the outside.